"J' ai contacté le service des incendies de Lac-Mégantic. Le capitaine Denis Godin a accepté de m'accompagner dans le logement pour que j'y installe une cage-trappe avec une boite de nourriture." The situation is even far graver for homeless cats and that dire assessment applies also to those that reside in managed colonies. 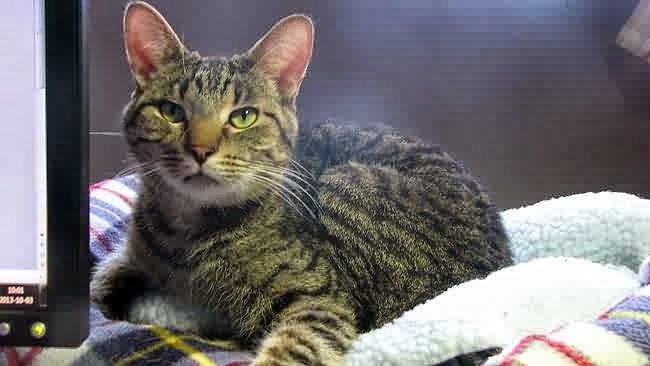 For example, Alley Cat Allies cruelly and unforgivably abandoned its cats in Atlantic City to fend for themselves during both hurricanes Irene and Sandy. Considering man's profound selfishness and colossal mistreatment of them, it was anything but surprising that a handsome and sociable brown and black tom subsequently named Mario was cruelly condemned to spend an astonishing seventy-nine days trapped inside a deserted building without either food, water, or human companionship last summer in the small tourist town of Lac-Mégantic, two-hundred-fifty kilometers east of Montréal in the Eastern Townships of Province Québec. His hellish ordeal began on July 6th when a seventy-four-car unmanned and parked American-owned Montréal, Maine and Atlantic Railroad freight train carrying crude oil extracted from the Bakken Formation started rolling, apparently of its own volition, and derailed. 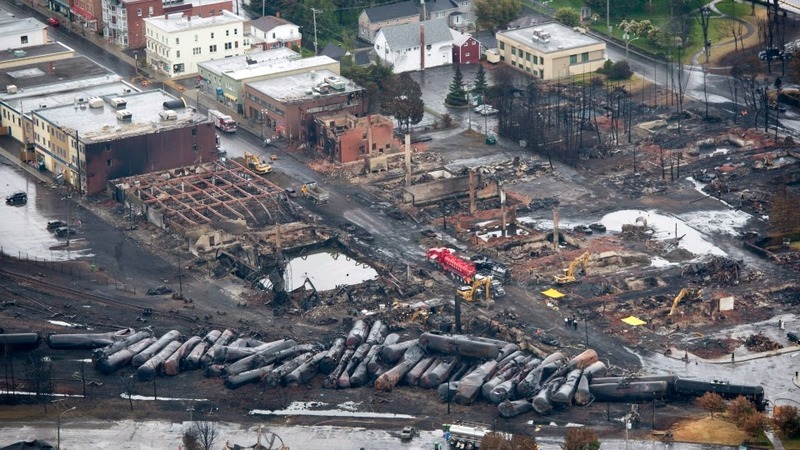 The resulting explosion and fireball was so intense that it not only destroyed thirty buildings in downtown Lac-Mégantic but it had a radius that extended outward for a kilometer. Forty-two bodies later were recovered from the rubble and five additional individuals were vaporized. So far, absolutely no one has had either the common decency or honesty to even so much as hazard a guess as to the total number of cats, dogs, and other animals that lost their lives as the direct result of both the capitalists' insatiable greed and consumers' unquenchable thirst for cheap fossil fuels. Compounding Mario's already dire situation, the building in which he was trapped was located in a part of the city that had been sealed off to the public. With no hope anywhere in sight, he persevered by lapping up condensation and eating whatever he was able to either find or kill. As horrific as all of that was, the psychological toll that his extended confinement took on him surely must have been even greater. In spite of all of that, he courageously soldiered on in a predicament so hopeless that it surely would have forced most humans to have thrown in the towel long ago. Sooner or later he would have succumbed to either dehydration or malnourishment and at some time in the not too distant future his lifeless corpse would have been discovered and promptly tossed in the trash without so much as a second thought. All of his deprivations, suffering, and indomitable will to live not only would have been for nothing but the world never would have even known that he once had graced the face of the earth. Such is the cruel fate of the species that Leonardo da Vinci once called "nature's masterpiece" and whose members, for the most part, live and die in obscurity. The Fates, however, had other plans in store for Mario. Specifically, they dispatched eagle-eyed and conscientious Mario Vachon to his rescue. He therefore found himself in the devastation zone conducting survey work on September 21st when he accidentally spied Mario's silhouette in a window. He then promptly notified an unidentified female friend who in turn contacted Françoise Belle-Isle who operates Fourrière municipale de Lac-Mégantic. This tireless and dedicated Animal Control officer, who in the aftermath of the derailment worked up to as many as fourteen hours a day rescuing abandoned and injured animals, immediately went into action. "J' ai contacté le service des incendies de Lac-Mégantic," she is quoted as saying according to a September 28th posting on the blog L'Espace Libre du Sami Chaiban. (See "Un chat survit soixante-dix-neuf jours seul à Lac-Mégantic.") "Le capitaine Denis Godin a accepté de m'accompagner dans le logement pour que j'y installe une cage-trappe avec une boite de nourriture." That plan worked to perfection and on September 22nd Mario was pulled to safety. Sadly, he was so dehydrated, emaciated, anemic, and hollowed-eyed that the attending veterinarian's first inclination was to snuff out his life. That in itself is a staggering indictment of the moral perversity that pervades the veterinary medical profession. After all that he had endured, killing Mario should have been the furthest thing from any halfway conscientious veterinarian's mind. If any cat ever deserved a second chance at life it most assuredly was him. Press reports have not spelled out how the argument over his fate unfolded but it is likely that Belle-Isle interceded on Mario's behalf even though she had her own reservations about the wisdom of prolonging his life. "Une si longue disette peut avoir causé des dommage à des organs internes, particulièrment au foie," she is quoted by Sami Chaiban as saying at that time. The important thing is, however, that it ultimately was decided by someone to at least grant him the opportunity to recover. In furtherance of that noble objective, Mario was fed a protein-rich diet and given iron-enhanced kibble at Belle-Isle's shelter. It also is likely that he was administered intravenous fluids in order to help relieve his severe dehydration. Provided with only that very slim opportunity in order to reclaim his life from death's icy grip, Mario did the rest all by himself to the astonishment of both Belle-Isle and the attending veterinarian. "Le Christian Lessard, de la Clinique vétérinaire du Lac Aylmer à Disraeli, s'est montré étonné des bons résultats, vu son long séjour en réclusion," Belle-Isle later confided to Le Journal de Montréal on September 25th. (See "Un chat survit soixante-dix-neuf jours seul à Lac-Mégantic.") "Le chat a plus d'energie. Il s'entend bien avec les chats et les chiens de la maison." Mario was scheduled to have remained at la fourrière for several more weeks before being sterilized. An unidentified former resident of Lac-Mégantic who underwent a coup de foudre when she first saw him was scheduled to have provided him with a new home at her current address somewhere in the administrative region of Mauricie. The press has long since forgotten all about this amazing cat with the beautiful yellow eyes so it has not been possible to determine how he is progressing. The damage conceivably done to his liver, which so worried Belle-Isle, remains a concern as does the proper functioning of his other internal organs. The good news is that he is still young and therefore has a good chance of bouncing back to his old self, provided that he has not suffered any permanent damage of any kind. Best of all, hopefully his new guardian will take far better care of him than his previous owner who not only abandoned him but did not even bother to attempt to reclaim him once his plight was picked up by the media and he was transformed instantaneously into an international celebrity. Of course, it also is possible that either he or she perished in the inferno. The specifics of his rescue have not been publicly disclosed but it has been theorized that the building in which he was found was not his regular residence. He accordingly could have fled there after his home was destroyed and then either gotten trapped inside or became too traumatized to venture outside. It is always difficult to tell with any degree of accuracy but his friendly demeanor makes it highly unlikely that he was homeless. The nature of Mario's rescue also recalls to mind that way back in 1957 a vocal group known as The Rays had a major hit record with a song entitled "Silhouettes." The inspiration for that song had its genesis in, ironically, a train ride that songwriter Bob Crewe had taken in May of that year during which he accidentally had spied the silhouette of a couple embracing in a window. With the assistance of his partner at XYZ Records in Philadelphia, Frank Slay, he sat down and penned the lyrics to "Silhouettes," which since then has been performed by such diverse artists as Herman's Hermits, Cliff Richard and, most notably, Sha Na Na at Woodstock. There accordingly is an old connection between trains and silhouettes. One led to the penning of a timeless popular music classic whereas another one proved to be the deliverance of a long-suffering cat. This story did not have to turn out this way. If Vachon had not been attentive he never would have seen Mario's silhouette and that likely would have been the end of the latter. It truly is nothing short of stupefying just how many events in this world, both major and minor, have unfolded as they did solely because an individual was on the ball and paying close attention to details. Furthermore, if either Vachon, Godin, or Belle-Isle had not been seized with an abiding respect for the sanctity of feline life the denouement of this story could have been far different. That makes all of them heroes. In addition to that, Vachon is entitled to special praise for refusing to turn his back on a cat in extremis. Fittingly enough, the cat whose life he saved will forever bear his name. Fire captain Godin also is to be commended for assisting Belle-Isle in the rescue. She, meanwhile, deserves all the praise in the world for not only sparing Mario's life but nursing him back to health and securing a new home for him. The details are considerably more sketchy, but a sociable white cat named Coco, alias Kovalev, also returned from the dead along about the same time that Mario was rescued. The cat, who had disappeared from the district of Fatima in Lac-Mégantic on July 6th, reportedly just strolled up out of the blue to guards at sentry box five in the yellow zone. Apparently no worse for the wear, he was reunited with his owner, Melissa, according to Sami Chaiban. Like Mario, he is destined to take with him to his grave the details of how he managed to survive a catastrophe of the magnitude which enveloped Lac-Mégantic. Despite the miraculousness of Mario's and Coco's narrow escapes, they are by no means isolated incidences. Cats, after all, have an uncanny ability to survive even under the most hopeless conditions. Subjected to thousands of years of systematic abuse and innumerable extermination attempts, they have been forced by circumstances to hone their survival instincts to a sharpened razor's edge. Whereas throughout the Middle Ages and right up until the nineteenth century the Roman Catholic Church was their greatest nemesis, today it is ornithologists, wildlife biologists, and PETA who are now devoting all of their time and resources in an all-out effort to eliminate them from the face of the earth. In spite of the best efforts of their sworn enemies, unorganized ailurophobes, and periodic bouts of outrageously bad luck, some long-suffering felines still manage to somehow survive. For instance, in recent memory cats have been able to persevere for lengthy periods of time while trapped inside, inter alia, a frozen food warehouse, an outdoor shed, the ruins of a collapsed building, a walled-up culvert, and underneath a bathtub. Aside from all the death and destruction that the oil train's derailment brought with it to Lac-Mégantic, it also furnished the opportunity for the emergence of a real-life hero in the form of a ten-year-old Yorkshire Terrier named La Puce. 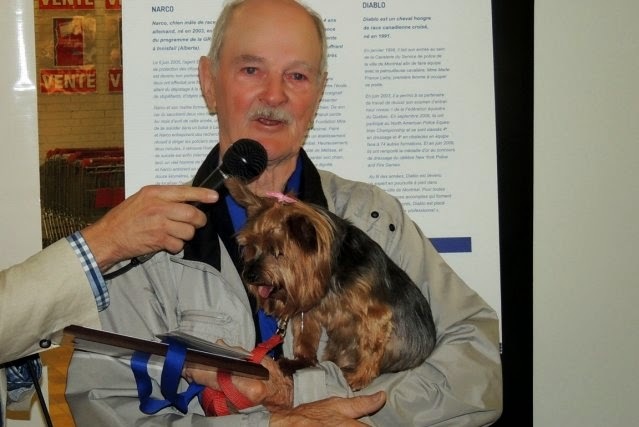 On the night of the explosion the dog's owner, eighty-three-year-old Paul Leclerc, was sound asleep and surely would have perished in the conflagration if he had not been rudely awakened by his alert and faithful companion. As things eventually turned out, the duo made it to safety only a few precious minutes before both their house and garage were engulfed in flames. Two other dogs belonging to Leclerc apparently did not make it out alive. Despite the staggering toll exacted in both animal and human casualties in Lac-Mégantic, freight trains transporting oil from the Bakken Formation, which extends for five-hundred-twenty-thousand square kilometers underneath parts of North Dakota, Montana, Saskatchewan, and Manitoba, are continuing to roll all across North America and, predictably, to derail. For example, a ninety-car train carrying Bakken shale oil derailed and exploded in Pickens County, Alabama, on November 8th but, fortunately, no humans were injured. In all likelihood, however, some animals were killed. Later on January 20th, a CSX train out of Chicago derailed on a bridge near the Schuylkill River in Philadelphia. Only six of the seven cars that left the tracks were carrying crude oil and none of them either leaked or exploded. "Make no mistake, an incident involving rail transport of oil will occur in the commonwealth and lives, including first-responder lives, and property will be put at risk," former United States Congressman Curt Weldon told a public hearing March 5th in Eddystone, Pennsylvania, according to the March 6th edition of The Delaware County Times of Primos. (See "Ex-Representative Weldon Warns of Oil Transport Dangers.") "These incidents have occurred in the past and they will occur in the future." His dire warning, however, fell upon the deaf ears of the oil train operators in attendance. "Between 2000 and 2013, the United States rail industry originated eight-hundred-twenty-five-thousand carloads of crude oil," David Julian of Norfolk Southern countered. "(And) 99.993 per cent of those carloads arrived at their destination (sic) without a release caused by an accident." Compounding the problems already associated with antiquated track and flimsily constructed petroleum cars, oil extracted from the Bakken Formation is considerably more dangerous to move around than the crude of old because it has a considerably lower flash and ignition point. On top of all of that, the volume of Bakken crude to be transported by rail is expected to increase exponentially within the next few years and that can only lead to congested rail lines which is always a harbinger of accidents. Downtown Lac-Mégantic in Ruins. Which Town Is Next? In April of last year, an Exxon Mobil Pegasus pipeline broke and spewed between two-hundred-ten-thousand and two-hundred-ninety-four-thousand gallons of bitumen extracted from the tar sands of Alberta into the residential neighborhood of Mayflower, Arkansas. Only recently a Mid-Valley pipeline leaked into a nature reserve in Ohio and a BP refinery spilled hundreds of barrels of crude into Lake Michigan. Transporting oil by sea also is not only hazardous but environmentally destructive as well as it was vividly demonstrated when the Exxon Valdez ran aground in Prince William Sound in 1989. Long before that in 1975, twenty-nine individuals were killed when the Corinthos and Edgar M. Queeny collided in the Delaware River and burned for three days. All of that is in addition to at least one-thousand-two-hundred-eighty Superfund cleanup sites along with an estimated four-hundred-thousand so-called brownfields, or land contaminated by industry and commerce. Nuclear waste, from both power plants and the American military, underground commercial gas and heating oil tanks that have leaked, and dangerous chemicals improperly disposed of by beauty parlors, laundries, and other enterprises are another huge concern. A measure of progress has been made on various fronts since Rachel Carson published her seminal work, Silent Spring, in 1962 but overall the level of pollution present in the environment is far greater today. For instance, the Environmental Protection Agency estimates that twenty-five per cent of all Americans live within three miles of a hazardous waste site. As cataclysmic as they were, none of the oil train derailments, ruptured pipelines, or gas leaks have adequately done justice to the gravity of the situation. In order to fully comprehend the extent of the danger posed by all of these ticking time bombs it is necessary to examine what transpired in the aftermath of a celebrated fracking mishap that occurred February 11th in Bobtown, Pennsylvania. On that memorable occasion, Chevron's Lanco 7H well caught fire and exploded. One worker was killed and the ensuing fire burned for several days. "Twenty-billion-dollar profit and you offer these unfortunate people a slice of pizza? How far removed from human emotion, intelligence, understanding are you?" one user of Twitter indignantly commented according to the February 20th edition of The Telegraph of London. (See "Town Attacks Chevron for Offering Pizza after Explosion.") "Yay, (sic) free pizza. Once the third-degree burns heal and you can eat solid food again, this will be nice," another person added. Those comments, however, most likely came from anti-fracking campaigners outside of Bobtown. At Bobtown Pizza, which made a killing off of the $12 vouchers, the sentiment was entirely different. "This is just a small town. The explosion was a couple of miles away, in a field," the unidentified proprietor of the establishment told The Telegraph. "I have had some activists calling me to gripe but (the offer) wasn't meant that way. It has been blown way out of proportion." If those comments are in any way indicative of the true feelings of the residents of Bobtown, they were thrilled to death to have gotten their grubby hands on the free pizza and pop. If so, the only thing that Chevron is guilty of is being overly generous. In all likelihood, it has far less conscientious workers on its payroll who would have been more than satisfied with as little as either a doughnut or half a stick of chewing gum. Chevron most assuredly knows exactly what type of individuals that it is dealing with and its employees certainly know their place and what they can expect from the oil giant. Be that as it may, it nevertheless would have been somewhat reassuring if the residents had demonstrated enough moxie in order to have held out for at least a forty-ounce jug of either Steel Reserve or Silver Thunder in order to have washed down all of that cheap white dough and gooey cheese. Moreover since venereal disease reportedly is so rampant in Pennsylvania's booming oil towns, the workers would have been totally justified in also asking for a packet of condoms. Should that gambit have proved successful, they could have gone whole hog and insisted that Chevron foot the bill for a free poke at a nearby whorehouse. It is, after all, well-established that nothing engenders worker loyalty quite like a good old-fashioned romp in the tulips. Besides, if Americans are so hellbent upon destroying all of creation, they should at least go about it in the same style that they have grown accustomed to over the years. That brief glimpse into the grasping souls of its employees ought to provide Chevron and all those involved in the fossil fuel extraction business with many nights of uninterrupted repose, that is, as soon as their sides stop aching from all the cackling that they have been doing of late. Thinking individuals from outside the industry may find it a tad disconcerting however to realize that their chances of not only holding on to their health but of even staying alive for much longer can be measured on a continuum that has a slice of pizza at one end and a doughnut at the other. Photos: Canoe.ca (Mario), Sami Chaiban (Mario and Belle-Isle), Ronald Martel of La Tribune (La Puce and Leclerc), and Paul Chiasson of The Canadian Press (Lac-Mégantic). About the only thing worth reading nowadays in American daily newspapers is the filler material inserted by copy boys and other underlings in order to plug holes whenever either management's long-winded propaganda spiels unexpectedly run short or anticipated advertising sales fail to materialize. That is because the editors and reporters of these scurrilous rags make doubly certain that only the viewpoints and interests of the political and economic elites that they serve receive a fair and nonjudgmental public airing. During the course of a lengthy exposé trumpeting the marvels of veterinary medicine, the expertise of the practitioners, and the dozens of cats and dogs whose lives they allegedly either save or extend on a daily basis, The Inquirer let slip the petit fait that PennVet recently had cruelly and mercilessly killed off an unidentified cat due to the impecunity of its owner. The unfortunate feline accidentally had swallowed a piece of ribbon from a Christmas present and the low-life, scum-of-the-earth veterinarians adamantly had refused to treat it unless they first were paid several thousand dollars up front. When the cat's owner was unable to come up with the wheelbarrow of cash demanded by the mercenaries, they promptly got out the sodium pentobarbital and killed it on the spot. That, by the way, is how the world-renowned practitioners of veterinary medicine at the rich-as-Croesus University of Pennsylvania say "Merry Christmas and Happy New Year" to impecunious animals and their aggrieved owners. The Inquirer failed to disclose how much blood money the veterinarians demanded in order to snuff out the cat's life but it is pretty much a forgone conclusion that they did not perform even that shockingly immoral and dastardly deed gratis. It likewise has not been disclosed why the ribbon would not sooner or later simply have either rotted away or passed harmlessly through the cat's intestines. Along about that same time a part-labradoodle, part-goldendoodle who also accidentally had swallowed a plastic Christmas tree ornament was able to rid itself of the foreign object without veterinary intervention. Although making comparisons between the two cases based solely upon the elliptical amount of information supplied by The Inquirer is a rather risky proposition, it nonetheless is conceivable that the principal difference between them boiled down to money. C'est-à-dire, the dog's owner was able to pay for its hospitalization and monitoring whereas the cat's owner was unable to even do that much for it. In addition to PennVet's steadfast refusal to intervene in order to save the lives of cats who are owned by the poor, it is rather safe to assume that it gives discounted rates to the pets of its employees. For example, on Christmas Day a two-year-old Boxer-mix named Hattie, owned by first-year surgery student Heidi McDevitt, was poisoned after eating chocolate candy that her husband carelessly had left lying around their house. Rushed to PennVet, Hattie was administered an anemic, activated charcoal, and intravenous fluids. She then was held overnight and McDevitt charged $600. Earlier in November, she had gotten into McDevitt's supply of ibuprofen and that had resulted in her being forced to spend a week in the Intensive Care Unit at PennVet. According to The Inquirer, that cost McDevitt another $5,000. In its typical dishonest brand of journalism, The Inquirer fails to inform the public if the prices charged McDevitt in order to treat Hattie were in any way commensurate with those that PennVet charges customers from outside of its charmed circle. It is difficult to speculate with any authority, but au premier coup d'oeil McDevitt's veterinary bills appear to be rather meager when compared to the exorbitant amount that PennVet demanded in order to treat the cat who had swallowed the ribbon. Secondly, The Inquirer fails to reveal whether McDevitt was forced to pay in full before her colleagues would treat Hattie or if was she extended credit and allowed to pony up at her leisure. The latter scenario would seem to be more likely in that it is highly doubtful that her colleagues would have tried the same strong-arm tactics on her that they did on the owner of the sick cat. 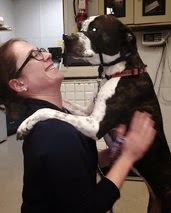 It therefore seems clear that PennVet not only is guilty of discriminating against impecunious cats and their owners but also of showing favoritism toward the dogs of its employees. Perhaps most insulting of all, McDevitt has the chutzpah to feign a compassion that she, quite obviously, does not share. "My animal has been in this room," she gassed to The Inquirer in the article cited supra. "I know what it's like when you don't know what the outcome's going to be." Such a disingenuous and self-serving expulsion of hot air is totally irrelevant because the pertinent question does not concern the uncertainty of whether an animal on the operating table is going to live or die, but rather knowing for sure that it is doomed because sawed-off slugs like McDevitt and her colleagues will not save its life unless they first are paid handsomely for doing so. To put the matter succinctly, Hattie is alive today only because of the privileged perch that McDevitt occupies at PennVet and the cat is in its grave solely due to a lack of money and its owner's not knowing the right people. All other considerations are pure balderdash! Under such a perverse arrangement, McDevitt is free to continue to be an irresponsible dog owner for as long as she either works at PennVet or Hattie somehow manages to stay alive. Best of all, there is absolutely nothing in either her personal and professional life that ever will tempt her to realize that the poor love their cats and dogs every bit as much as she supposedly loves Hattie. Moral degenerates like her and her colleagues at PennVet never change. The exploit and abuse the animals, Mother Earth, and their fellow humans without so much as an iota of either compassion or remorse. "Veterinary care has become brutally expensive," was all that her boss Kenneth J. Drobatz, who is in charge of the emergency room at PennVet, was able to come up with in defense of his surgery's Machiavellian policies. While there sans doute may be a kernel of truth in his assertion, veterinary bills nonetheless would have to be over the moon before they ever would be able to even remotely match the level of brutality that resides in his, McDevitt's, and their colleagues' black souls at PennVet. Back on July 8, 2010, David Livesay rescued a five-week-old orange and white nameless kitten that had been thrown out of the window of a black, four-door vehicle on Interstate 24 in Chattanooga. Over the course of the next four hours he toiled in vain to procure live-saving veterinary intervention for it and, after at least two practitioners had refused to treat it, the kitten was killed off by the McKamey Animal Care and Adoption Center. Drobatz, McDevitt, and their colleagues at PennVet quite obviously tap their gnarled toes to the beat of an entirely different drummer. Blinded by greed every bit as much as the Greek god Plutus, the only morality that they recognize is the folding kind that fits neatly into their already overstuffed wallets. Any cat or dog that unwittingly wanders onto Penn's sprawling urban campus today is venturing into a danger zone. Not only are they destined to be denied the humane and veterinary care that they so richly deserve, but they additionally could be robbed of their precious lives. The time is long overdue that PennVet and all other practitioners were divested of their right to withhold veterinary care from sick and injured animals and that same sterling principle should be made applicable to all health care providers as well. The basic necessities needed in order to support and sustain both animal and human life should be available upon demand to one and all regardless of their ability to pay. Any veterinarian or physician unwilling to abide by that moral imperative should be branded as unfit to practice and promptly kicked out of their respective professions. Individuals and businesses that expect to reap unlimited profits from their endeavors should go into some nonessential line of work, such as either throwing a football or tap dancing, where they would be totally justified in raking in as much as market conditions would allow. In its defense, PennVet argues on its web site that it annually treats up to thirty-three-thousand small animals at Ryan. Included in that total are thirteen-thousand that require emergency care. Those statistics are meaningless, however, without PennVet simultaneously disclosing the exact number of cats and dogs that it turns away each year because their owners are unable to pay the exorbitant fees that it demands. Perhaps even more importantly, deliberately killing off cats, dogs, and other small animals with jabs of sodium pentobarbital is hardly the same thing as providing them with competent and effective veterinary care. PennVet and all other practitioners of veterinary medicine therefore should be compelled by law to disclose both the number of animals that they deliberately kill each year as well as those that they send to their graves through sheer incompetence and malpractice. Only then can their performances be fairly and properly evaluated by the public. Transparency in pricing also is vital in that it is strongly suspected that the vast majority of sick and injured cats and dogs could be treated every bit as economically as they now are killed. The only real difference is that most veterinarians are far too lazy to attend to them. To PennVet's credit, veterinarian Michael Moyer has spoken out forcefully against rounding up and exterminating them in droves at shelters. "Cats can live a pretty respectable cat life (outdoors)," he told The Inquirer on March 11, 2011. (See "Shelter Shock.") "We tend to think their lives must be nasty, brutish, and short (a paraphrase of Thomas Hobbes in the Leviathan), but they live about as long on average as house cats." In furtherance of that worthy objective, students at PennVet allegedly sterilized three-thousand-seven-hundred cats during 2011. The Inquirer, in its typical fashion, neglects to disclose how many of them were homeless. The newspaper likewise fails to mention who footed the bill for those operations and, given its infamous niggardliness, it is extremely doubtful that PennVet performed them pro bono. That burden accordingly most likely fell upon the shoulders of already cash-strapped local animal protection groups. An equally important issue concerns Penn's treatment of its own homeless cats. Since students all over the world are notorious for abandoning and neglecting domesticated ones and given that footloose cats are attracted to the deceptive serenity and open spaces afforded by college campuses, Penn most assuredly must have its share of them. Whereas Stanford, Texas A&M, and other schools have inaugurated wildly successful TNR programs, that does not appear to be the case with Penn. 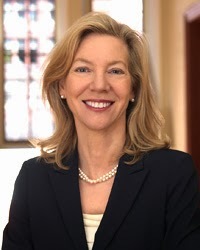 Since the practitioners at PennVet do not give so much as a second thought to killing off the treatable cats of the impecunious, it is not surprising that they and other scientists on campus have a long and sordid history of torturing them and other animals to death during the course of their utterly worthless and categorically immoral experiments. That makes them every bit as morally numb as Doctor Moreau. "To this day I have never troubled about the ethics of the matter," he candidly declared to Edward Prendick in H .G. Wells' 1896 novel, The Island of Doctor Moreau. "The study of nature makes a man at least as remorseless as nature." The exact number of animals nakedly abused and killed at Penn each year is unknown because, first of all, rats, mice, birds, amphibians, and other unspecified species are totally excluded from the purview of the phony-baloney and utterly laughable Animal Welfare Act (AWA) of 1966. Secondly, the AWA exists only to ensure that animals used in biomedical research are fed, watered, and housed in cages that are large enough for them to stretch their legs. So long as vivisectors satisfy those minimalist requirements they are free to torture and kill them until the cows come home. Despite those impediments erected in order to stifle the free flow of information, it has been reported that during 2012 vivisectors at PennVet experimented on nearly one-thousand dogs and puppies plus two-thousand-nine-hundred-ninety-four pigs and piglets. The dogs most assuredly met their Waterloos at Ryan whereas the pigs likely were done in at its sister facility, the George D. Widener Hospital for Large Animals at PennVet's New Bolton Center in Kennett Square, sixty kilometers removed from Center City in Chester County. The number of pigs, cows, horses, and other large animals that are genetically manipulated, hideously tortured, and then killed in the name of making a buck at this suburban institute of horrors surely must be astronomical. All that the New Bolton Center admits on its web site, however, is that it annually treats six-thousand animals at Widener. In much the same fashion as Paladin of the old radio and television show, Have Gun Will Travel, sold his services to the highest bidder, the veterinarians also make house calls on farms, ranches, and race tracks where they attend to another nineteen-thousand animals. The wholesale pimping and whoring that these highfalutin, dressed-up mercenaries do for meat and milk producers as well as for those who horrifically abuse racehorses surely must keep them in clover high enough to block out even the rays of the sun. Not surprisingly, semper graculus assidet graculo. The millions that they make off of pigs alone lends an entirely new connotation to the old adage of living high on the hog. Given the magnitude of their crimes, however, it perhaps would be more accurate to characterize their behavior as a case of living low-down and dirty on the hog. Just about all of the animals mercilessly exploited at both Ryan and New Bolton doubtlessly are unceremoniously killed off once their diabolical tormentors have finished with them. It is not known how many cats the veterinarians kill annually but the number likely is in the hundreds if not indeed thousands. Despite the license to kill so generously granted them by the United States Congress under the AWA, vivisectors at PennVet have proven themselves time and time again to be totally unwilling to even comply with the minimalist provisions of the act itself. For example, an inspection report released by the USDA's Animal Plant Health Inspection Service (APHIS) on May 13, 2013 cited PennVet for killing a piglet by failing to properly anesthetize it as well as for having a gaping hole in a facility used to house its research subjects. Another report issued by APHIS on July 20, 2011 cited PennVet for cleaning, sanitation, housekeeping, pest control, watering, and general facilities management violations. In particular, the veterinary school was written up for failing to provide proper enclosures for cats, dogs, and gerbils that resulted in the deaths of one puppy and three gerbils. "We believe that when you see an institution like this where clearly there's unqualified personnel, animals are dying as a result of it, and other animals are clearly suffering as a result of what happened, that the university should be significantly penalized," Michael Budkie of Stop Animal Exploitation Now (SAEN) told NBC-10 of Philadelphia on July 29, 2013. (See "Animal Advocacy Group Wants UPenn's Vet School Fined.") "That's why we've contacted the USDA and asked them to issue the largest possible fine, $10,000 per violation." As for PennVet, its response to the charges levied against it by APHIS has been, typically, both dishonest and moronic. "The university is committed to maintaining the highest standard of humane care for animals used in biomedical research, which is aimed at finding treatments and cures for some of the most vexing diseases of our time, in both humans and animals," its unidentified mouthpiece pontificated to NBC-10. "The university is continually working to improve its programs for animals care and welfare -- the USDA inspections and reports are part of the regular process and we look to them for guidance." First of all, for PennVet to be looking to APHIS for pointers on how to humanely care for animals can only be characterized as a classic case of the blind leading the blind. Secondly, the proof is always in the pudding and if PennVet were in any way committed to the humane care of animals it immediately would stop nakedly abusing them as guinea pigs. The truth of the matter, however, is that it is only committed to torturing and killing them. Moreover, that is so much the case that it steadfastly refuses to even comply with the minimalist housekeeping provisions of the AWA. Thirdly, the practice of both veterinary and conventional medicine is a colossal racket in that effective treatment, in most cases, is only available to those animals and individuals with large bags of money. In a strict moral sense, however, it would not make any difference whatsoever even if vivisectors somehow could be prevailed upon to share their expertise in an equitable manner with the impecunious. The put the entire matter in a nutshell, vivisection will only be morally permissible when animals knowingly give their consent to be tortured to death and that is never going to happen. Instead, vivisectors at PennVet and elsewhere should practice their wiles on themselves and their colleagues. Such a revolutionary change in their modus operandi undoubtedly would prove to be not only great fun but equally profitable as well. Such an ingrained contempt for the sanctity of animal life as demonstrated writ large by PennVet is usually, but not always, accompanied by a corresponding disdain for human rights as well. For example, like all colleges Penn employs a large number of part-time teachers who work for a small fraction of what tenured faculty members receive as well as being deprived of both benefits and job security. The school itself has an endowment of close to $8 billion and an annual operating budget of more than $6 billion. C-est-à-dire, this sleazy, despicable capitalist institution has money to burn but yet it is too cheap to part with so much as a solitary sou in order to save the life of a sick cat. By contrast, in tiny Valdez, Alaska, Dr. Kelly Hawkins operates his surgery on a shoestring but in spite of all the financial constraints he has seldom denied life-saving veterinary intervention to poor cats and other animals. 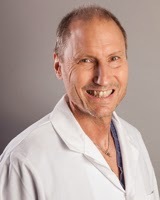 The difference between him and the practitioners at PennVet is that he not only has an abiding respect for animal life but actually cares about animals and people as well. In spite of its outrageous hypocrisies and the wholesale crimes that it commits on a daily basis against the animals the school still has the nerve to proclaim to the world in its motto that "leges sine moribus vanae." Such an outlandish display of runaway hubris therefore can only be regarded as an inside joke that doubtlessly furnishes its professors and administrators with endless hours of unbridled mirth. "I won't take my religion from a man who never works except with his mouth and never cherishes a memory except the face of the woman on the American silver dollar." As applied to Penn, it would read: "We love only money and are only good for running off at the mouth." If the truth in advertising statues ever were properly enforced they would demand no less of the school. No one should hold either his or her breath, however, waiting for Penn to either locate its moral compass, learn to tell the truth, or to become so much as an halfway honest school. On the contrary, there hardly exists enough money in this world in order to satisfy its insatiable greed. Avarus animus nullo satiatur lucro. That certainly seems à propos enough in that Penn and DuPont go together in much the same fashion as Mussolini and Hitler. They accordingly should be exceedingly happy together preening and strutting, egos abutting, gibbering up a storm, and taking turns at the controls of the hay baler that they use in order to gather up their loot. It is, after all, too arduous of a job for either any mere mortal or computer ever built by IBM to count. Whenever they tire of those pursuits there is always Mother Earth for them to pollute and millions of defenseless cats and other animals to hideously abuse and kill. The latter is not only PennVet's present-day forté but it is destined to become its most enduring legacy. Photos: University of Pennsylvania (logos, Drobatz, and Gutmann), Melissa Dribben of The Inquirer (Hattie and McDevitt), and WTVC-TV of Chattanooga (kitten).